My bike. Quite an advancement on the local models. 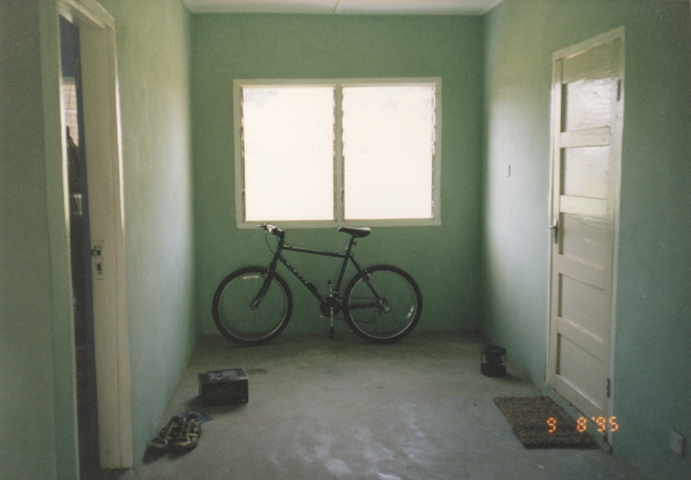 Around it is also my humble living quarters, a 4-room cement block bungalo elaborately decorated as you can see!